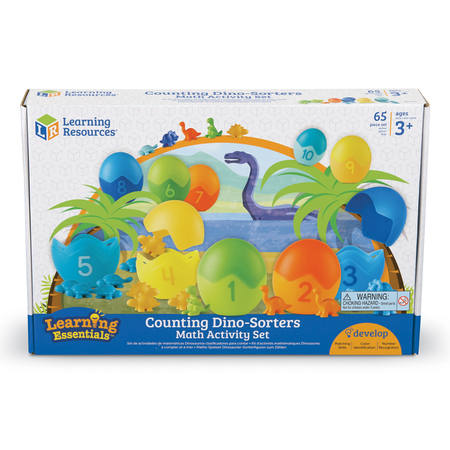 It’s a fun way for children to learn about counting and colors…while they play hide-and-seek! These little dinos tuck away inside the eggs for surprise counting fun. 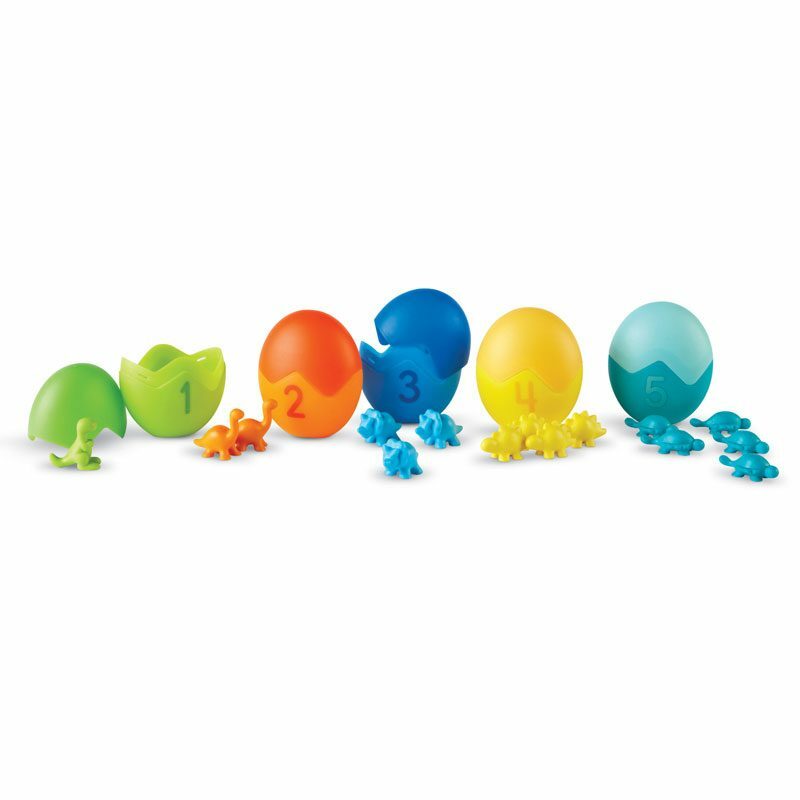 Each numbered and colored egg holds a corresponding number of dinos inside, so children learn about number correspondence too! Eggs measure 3″H. Tags: counters, educational, learning essentials, maty.